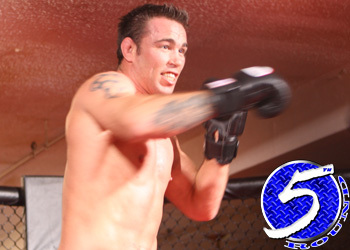 Jake Shields was one of MMA’s most sought-after free agents before even becoming one. Although Stikeforce has first dibs at retaining their middleweight champion, Shields’ father/managers claim the San Jose, CA based organization has yet to make any offers. Jake owns an impressive 25-4-1 professional record and is perfect through his last 14 scraps. The talented grappler hit the open market immediately after his lopsided unanimous decision win over Dan Henderson at “Strikeforce: Nashville” on April 17th. According to the elder Shields, Strikeforce notified him that because of the company’s ambitious schedule of hosting four events in six weeks, they are unable to conduct “serious negotiations” with their top free agent until some time next week. It’s been reported that Strikeforce has an exclusive 60-day negotiating period that affords them the opportunity to retain Shields’ services before the UFC can even speak with him. However, a source close to the situation told the website Shields may be granted his outright release before the blackout date expires. The benefit of letting him go early would allow other MMA promotions to set the market for Shields. Strikeforce can then determine if they would like to match any offers made on their champ without overpaying to keep him. “Can I guarantee that we won’t release him? No, I can’t,” Strikeforce CEO Scott Coker said regarding the 31-year-old. “It depends on how the last two or three weeks of negotiation go. I won’t be able to answer until negotiations are over. Is it a possibility? It’s a possibility. Shields has long professed his desires to compete against the world’s best, and if that is indeed the case, the UFC houses the planet’s top dogs in both the welterweight and middleweight divisions. Furthermore, Shields can legitimately challenge for the crown at two different weight classes and that drives his price tag up even further.